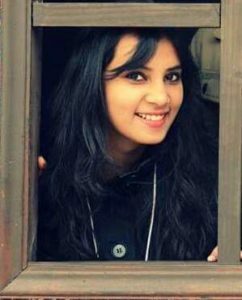 Vartika Srivastava is working at Amity School of Languages, Amity University, Lucknow campus. She conducted her M. Phil research under Dr. Zameerpal Kaur. Her dissertation topic is “Mapping Women and Nature in The Poisonwood Bible and The Year of the Flood”. Vartika has got her numerous papers published in the area of ecocriticism and ecofeminism in renowned National and International journals. Her areas of interest include ecofeminism, graphic novels and gender studies. She is an avid reader, writer, teacher, literature-enthusiast and nature lover. She is concerned with the issues related to LEGH Movement (Literature, Environment, Gender and Human Rights). She is one of the Executive Council Members (ECM) of FSLE-India for its Uttar Pradesh Region.